Key Difference: Seedling and sapling are two different juvenile life stages of a tree. Seedling refers to a very young tree which is less than 1 inch in context to DBH (Diameter at Breast Height). Stage of seedling is followed by the stage of sapling which is generally marked by 1 to 6 inches in context to DBH. 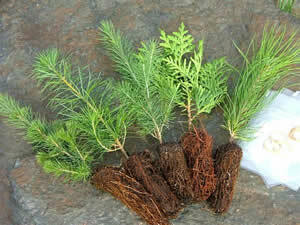 Seedling and sapling are associated with two different stages of growth related to trees. To understand the difference between seedling and sapling one needs to be aware of measurement parameters like DBH which stands for Diameter at Breast Height. It is used as an evaluation criteria for comparing the dimensions of different trees. It is basically the diameter of tree trunk which is measured at breast level. Seedling refers to a tree which is usually less than 1 inche in context to diameter at breast height. The term is specifically used for trees which arise from a seed. It is a very young tree and is often regarded as the first stage of the growth cycle of a tree. They are vulnerable to many species of animals like deer. During this stage a tree is very tender and succulent. They are also known as sprouts sometimes. In the life cycle of trees, a seedling converts into a sapling as the next stage of development. It is nearly one meter tall and generally remains to be known as a sampling until its stem reaches 7 centimeter in diameter. The time period of this stage depends upon the particular species of a tree. However, generally it remains in this age from 3 to 15 years of its life cycle. In context to DBH, a sapling is generally 1 to 6 inches in context to DBH. Seedling is mostly associated with the early stage of a tree that has come into being through a seed. 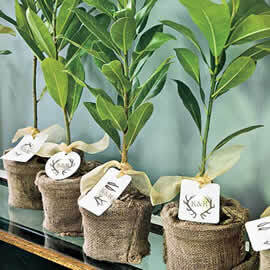 On the other hand, saplings can be produced by various ways like through seed or through vegetative through cuttings. May be balled and burlapped, bareroot, or containerized.